Over the last two decades, ultra-high frequency (or tick-by-tick) transaction data has become increasingly available. This surge of high-frequency finance data has brought disruptive revolution that makes modeling asset prices as continuous-time processes more possible than ever before. This is because we can now witness market microstructures and stock market volatility over tiny time intervals. 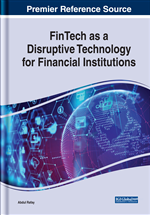 This chapter reviews some general frameworks like realized volatility (RV) in estimating the latent volatility and their recent developments in the era of high-frequency finance. New empirical facts are presented to help lay the foundation for creating intraday volatility models that can overcome noise interferences in high-frequency finance data. These facts also help explain some stock market anomalies like volatility jumps and flash crashes, which favor intraday RV over the traditionally used daily RV as a reliable physical measure of market risk. Investors have long dreamed of knowing how stock prices fluctuate. This desire dates back to the time when option contracts were invented in the late 17th century. At that time, Japanese samurai were paid in rice instead of Japanese Yen for their bodyguard services. Because it is hard to control the price of rice, they created a “Rice Exchange” where people can trade rice with a lock-in price before the delivery to avoid a price increase. Since then, many financial instruments have been created all over the world to hedge the risk of various businesses and volatility, and the primary measure of risk starts to frequently come out from the mouths of wealth managers in Wall Street. While in economic literature, volatility is not that popular until the 20th century. In March 1900, the founding father of mathematical finance, Louis Bachelier, published the thesis entitled “The Theory of Speculation”, which later becomes the beacon to modern finance research. In that book, he showed that stock prices can be approximated by a motion process where volatility is the only predefined parameter. He also named volatility as the “coefficient of instability” which amplifies the uncertainty of future prices. In portfolio allocation, volatility helps determine how portfolio investments are to be rewarded given the risk they bear (Markowitz, 1952). In finance, this is called the risk-return tradeoff. For example, index funds average about 12% return per year in the long run but U.S. government bonds commonly reach a maximum annual return of only 6%; however, there is still a large group of investors choosing government bonds because index funds could double the loss than the bonds when bad time hits. In fact, Sharpe (1964) and Lintner (1965) prove that if two stocks have the same correlation with the market index, stocks with more volatility tend to have higher positive returns in good times and higher negative returns in bad times. In the hedge fund industry, this risk-return tradeoff is often used to evaluate fund performance (Carhart, 1997; Fama & French, 2010). In financial engineering, volatility is the only unobserved parameter of the most recognized stock option pricing model, the Black-Scholes-Merton model (BSM model) (Black & Scholes, 1973; Merton, 1976). The BSM model provides a unique solution to option pricing regardless of the return distribution of the underlying asset. Because of this feature, this model is widely used by investment managers in Wall Street to price options under various market conditions which leads to the prosperity of the finance industry before the Great Financial Crisis in 2008 (Hull, 2012). In corporate finance, volatility is broadly used to help companies make appropriate financial and investment decisions (Shiller, 1981; Schwert, 1989). For example, after Tesla, Inc. bought SolarCity to expand its exposure to the energy industry, its stock price nearly doubled in the next two months. However, the long-term value of Tesla increased slower than its stock price after acquiring SolarCity stocks with a much higher volatility. The increase in stock volatility makes the Tesla business riskier. Increase in the riskiness of the business reduces people’s expectation of future revenue brought by the business, and could finally discount the overall value of Tesla, Inc. In market timing research, volatility is closely related to the right time in buying/selling stocks in the market. Persistent high levels of market volatility usually signal a bad time to buy-in as stock prices are not stable and may be incorrectly valued. Moreover, unexpected market crashes often come after a long period of frequent market fluctuations (Ross, 1989; Fleming, Kirby, & Ostdiek, 2003; Banerjee, Doran, & Peterson, 2007).